Known as a Dissolution of Marriage action, a Divorce is filed in the county in which one of the parties reside. The initiating instrument is called a Petition for Dissolution. In order to qualify for a dissolution, you must reside in Oregon for 6 months. If you have not lived in Oregon for 6 months you may file a legal separation and convert it into a divorce action after 6 months have passed. Our goal is always the best possible resolution for the client and family. A General Judgment, which is the final document, will encompasses custody and parenting issues if there are children, and the distribution of assets and debts of the parties, as well as alimony (known as spousal support) and child support. If applicable, a court also has authority to award attorneys fees. We strive to educate and vigorously represent our clients and, where appropriate, encourage mediation and settlement. In any settlement we make certain our clients are informed as to the issues, allowing for them to make educated decisions. We know this may be the first time you have met with an attorney or gone through a legal process, but we encourage you to talk to us. Understanding the legal process, and understanding that the courts are here to help you, is the first step to lowering your anxiety. We are here to help, starting with a welcoming environment. After a divorce is finalized, modifications of parenting time, custody, or spousal or child support may be necessary, and we are here to help you either defend against or file such a motion where appropriate. Even after divorce, we frequently help parties with enforcing a judgment —either to transfer an asset, pay support, or to provide a party with parenting time. 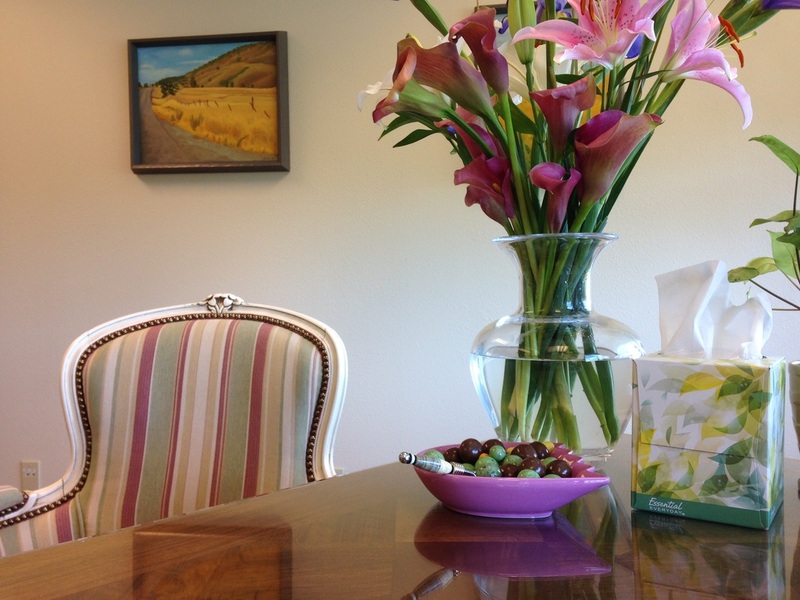 Our conference room at Bier Family Law, the venue to many out-of-court settlements, and as a result, savings to both parties. ​We zealously advocate for our clients. We look at our cases on a long term basis, and analyze how a proposal will affect the client in the future.